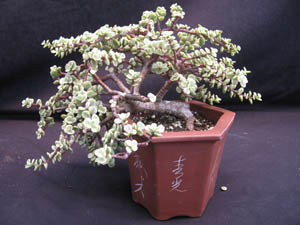 Portulacaria afra 'Variegata', Variegated Elephant Plant. Sprawling, slow growing succulent with variegated leaves and dark stems. 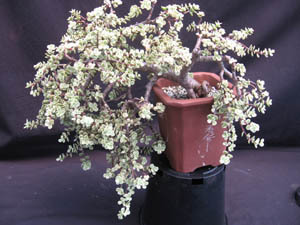 Very good for bonsai. Makes a nice, small hanging basket.